In February 2017, Filament Games formally adopted Sennett Middle School in an effort to strengthen our relationship with the local K12 school community and help support some of Sennett’s innovative programs and services. 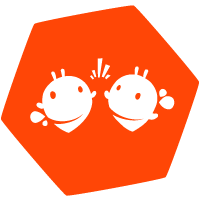 In addition to hosting after school game design clubs, providing free access to our K12 learning games, and participating in other volunteer events throughout the year, we’re currently in the midst of holding a staff-wide supply drive to collect classroom supplies like notebooks, pencils, calculators, and more for middle schoolers in need. 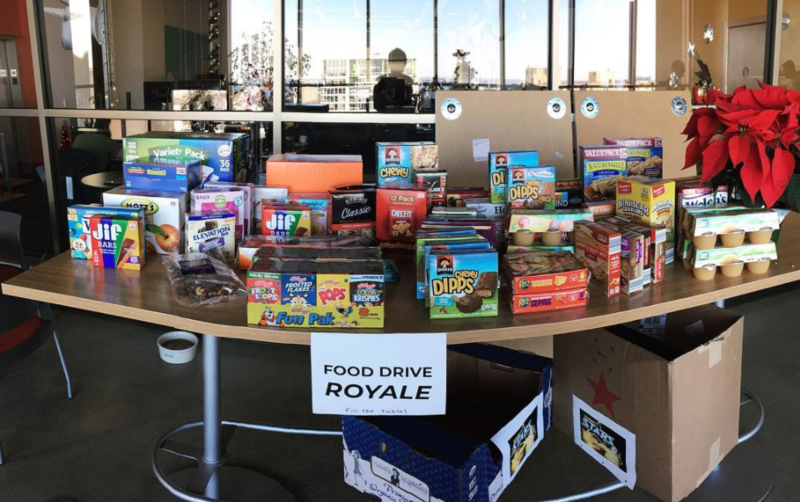 You can check out our spoils from last fall’s food drive below (originally posted on our Instagram) – we’re hoping to donate an even bigger collection of school supplies when our current drive concludes at the end of the March! 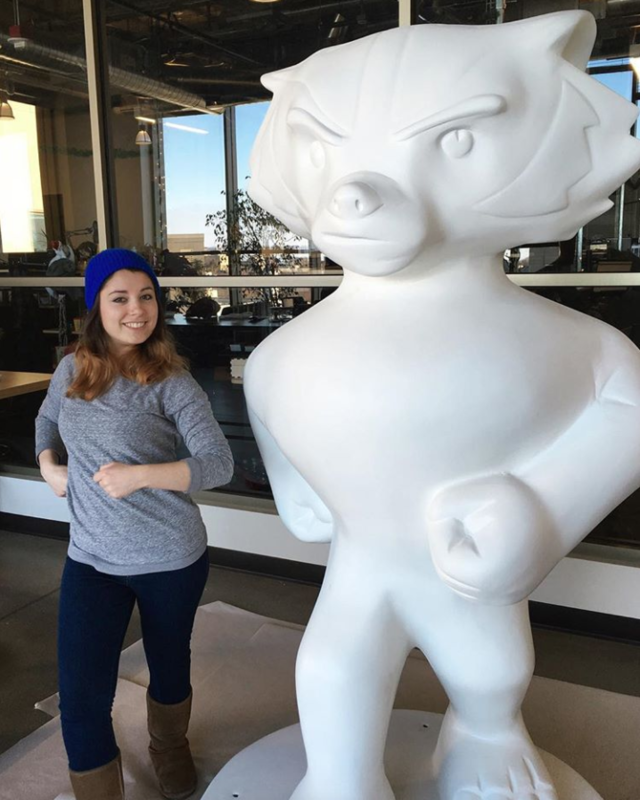 An all-new event hosted by the Madison Area Sports Commission, Bucky on Parade is an upcoming free public art show of ~100 life-size Bucky Badger statues scattered throughout Dane County – and we’re fortunate enough to have a team of talented artists designing our very own right now! While we’re required to keep our design and theme under wraps until the big reveal, you can catch a glimpse of our unpainted Fila-Bucky in the image below (also originally posted on our Instagram). A community-oriented event that lasts from May 7–September 12, 2018, learn more about Bucky on Parade by visiting their official website. Our staff is always grateful for opportunities to connect with, delight, and inspire the next generation of game makers. 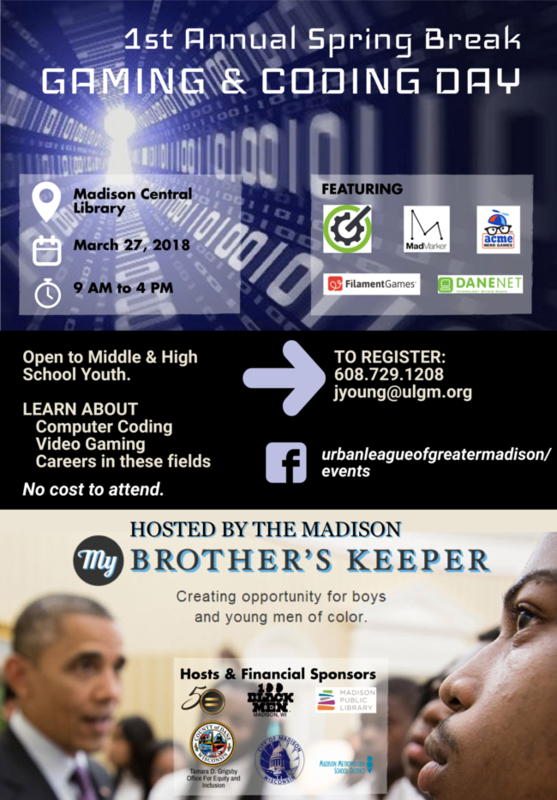 On March 27, 2018 from 9-4PM, we will be joining other local game studios as workshop leaders at Madison Central Library’s first-ever Spring Break Gaming & Coding Day, hosted by My Brother’s Keeper Madison. A free event open to middle and high school youth, students will be exposed to computer programming and game design fundamentals, while also exploring various careers options in these fields. Filament will be leading an introductory game development session using Twine, a free web-based program that allows users to create interactive, nonlinear storytelling experiences without any prior programming knowledge. Check out the event listing on the Urban League of Greater Madison’s official website for more details!